Courtesy to a late goal by Nico Schulz , Germany edged past the Netherlands in a 3-2 thriller. 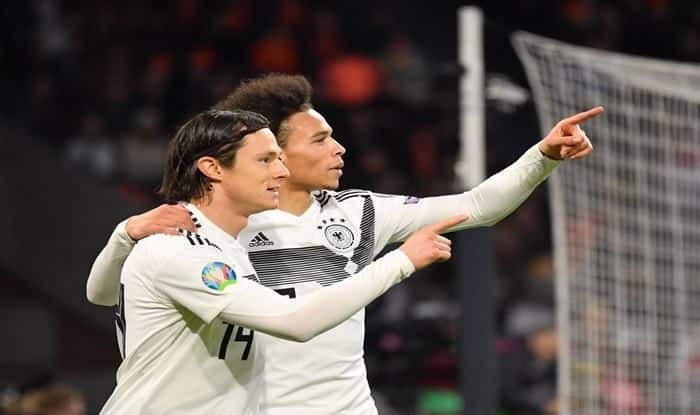 The German football team displayed an inspirational performance as they edged past the Netherlands with a last-minute goal from Nico Schulz, which sealed a 3-2 win in their Euro 2020 qualification match on Sunday. The ‘Die Mannschaft’ promising young footballing talent featuring the likes of Leroy Sane, Serge Gnabry and Matthijs de Ligt among others registered commendable performances to instill optimism for the fans after a poor world cup campaign. It was a thrilling encounter between two European footballing giants on Sunday night that are both in the midst of rebuilding their teams ahead of the European Championships next summer, reports Efe news. The Netherlands have been particularly disappointing in recent years, having failed to qualify for the last two major international tournaments, while title holders Germany were shockingly eliminated from the 2018 World Cup in Russia at the group stages. The win saw the Germans exact some measure of revenge on their neighbours, after the Dutch scored two goals in the last five minutes of their Nations League match in November to eliminate Germany from that competition. Joachim Loew has made revamping Die Mannschaft’s aging squad his main priority, telling Bayern Munich stalwarts Thomas Mueller, Jerome Boateng and Mats Hummels earlier this month that they no longer feature in his plans going forward. The trio were integral parts of their successful World Cup campaign in 2014. Loew’s rebuild has opened up squad space for some of Germany’s next generation of talent. Twenty three-year-old Leroy Sane opened the scoring for the visitors when he fired in a left-foot shot after good work down the wing from left-back Schulz. Another rising star, Bayern forward Serge Gnabry doubled Germany’s lead after 33 minutes when he cut inside from the left and rifled the ball into the top corner. Although they were trailing by two goals, the Dutch had managed to look threatening at times during that first half, and came out for the second period with renewed vigor as they tried to get back on level terms. 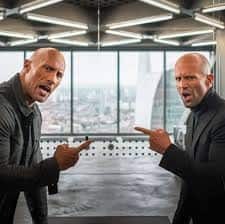 They had halved the deficit after just two minutes of the second half when Matthijs de Ligt rose highest to nod in Memphis Depay’s excellent cross. The Lyon forward was involved in most of the Netherlands’ attacks, and Georginio Wijnaldum should have scored from another precise Depay delivery into the box, but the Liverpool midfielder hit a tame effort straight at Manuel Neuer in the Germany goal. Shortly thereafter, the Netherlands were back on level terms when Depay fired in a low shot at the near post. Germany were on the ropes as the Dutch continued to press forward in search of a winner to cap a remarkable comeback. But instead it was Germany who scored the game’s fifth and deciding goal, after substitutes Ilkay Gundogan and Marco Reus combined down the left flank before the ball was pulled back for Nico Schulz, who finished off a nice move to seal a memorable win that Germany will be hoping can kick-start a new era.